A Knesset committee has passed a bill to fine perpetrators NIS 100,000 if they use as a slur any Holocaust symbol or calls anyone a "Nazi." 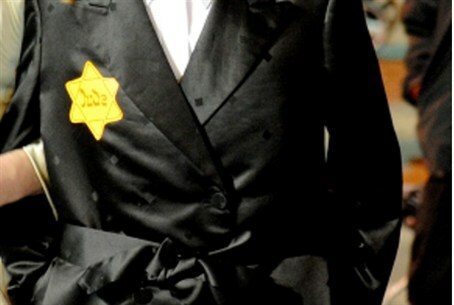 A Knesset ministerial committee has passed a bill imposing a fine of NIS 100,000 on perpetrators who use as a slur any Holocaust symbol or calls anyone a "Nazi." The measure was proposed by National Union Knesset Member Uri Ariel after a demonstration by hareidi religious protesters who pinned yellow stars on the chest of their young sons in Shabbat Square in the Jerusalem neighborhood of Mea Shearim. Some of the protesters also dressed in clothes resembling those of the uniforms once worn by concentration camp inmates. The use of Holocaust and Nazi imagery has become more and more common in recent years, both by hareidi religious demonstrators and by secular and Arab protesters as well. MK Ariel noted that the bill he proposed does not specify whether the perpetrator has any particular affiliation or identity; rather, he said, he is targeting the behavior of those who cynically use the imagery of the Holocaust for their own purposes. “I am happy that the government supports this important law," Ariel said. Tel Aviv-Yafo (Jaffa) Chief Rabbi Yisrael Meir Lau made a similar statement recently as well, urging the government to pass the law and emphasizing the importance of enforcing it once it is passed.